Blue colors are spectacular, vibrant, and inspiring. They are one of modern color trends for the next year. 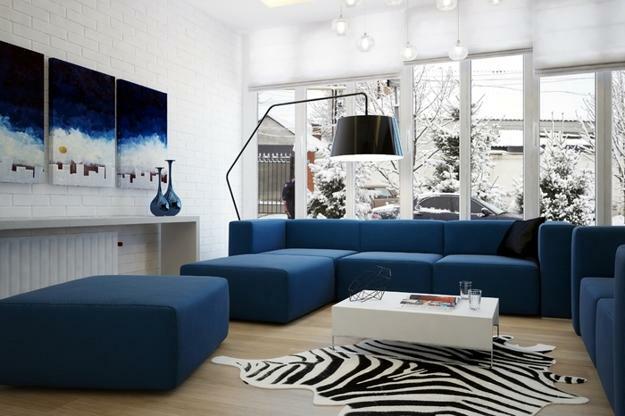 Interior design in blue feels quiet and peaceful. Here is a beautiful turquoise color palette inspired by beautiful Lake Maggiore, a long, thin lake on the south side of the Alps in Italy. The gorgeous waters provide great inspirations of turquoise blue colors enhanced by mysterious morning fog and surrounding mountains. 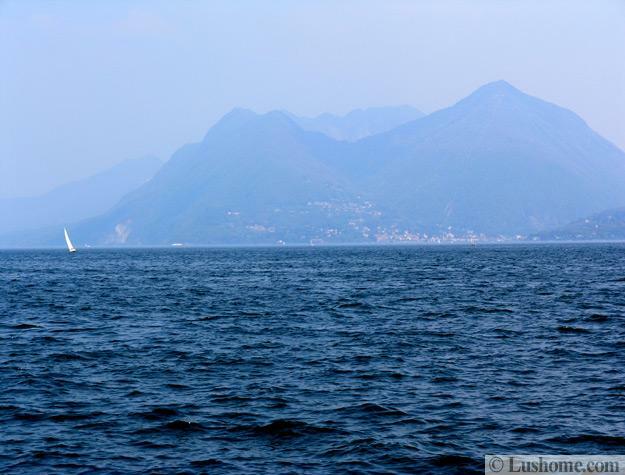 Shared by Piedmont and Lombardy regions and Ticino canton, Switzerland, the lake is amazing and worth to visit. All who appreciate landscapes get inspired by the depth of turquoise and blue color tones of the lake water which creates picturesque surroundings with lush greenery of the hills and blue skies. A boat takes visitors to famous Borromean Islands with terraced gardens and aristocratic villas offering breathtaking views of the green hills and unique dining experiences, but the dark turquoise blue and calm pastels of the lake are fabulous. 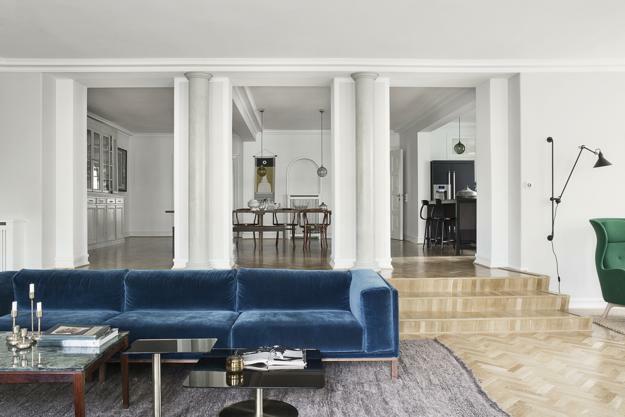 Beautiful dark blue colors can be mixed with foggy pastels, white, gray and black to create very peaceful, stylish and elegant interior design color schemes. 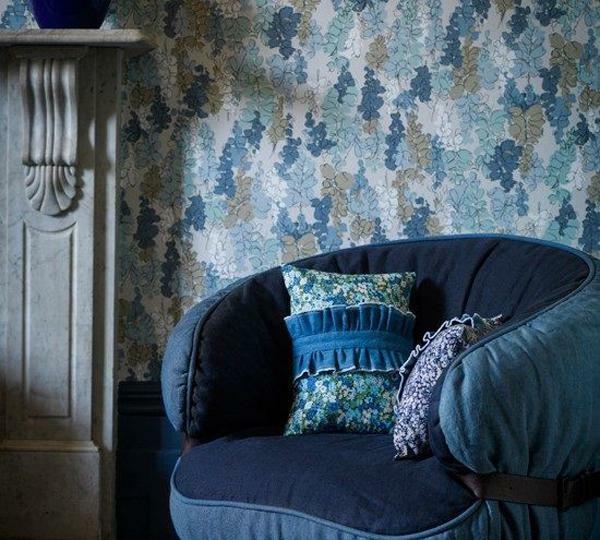 Bluish tones are fabulous and versatile. 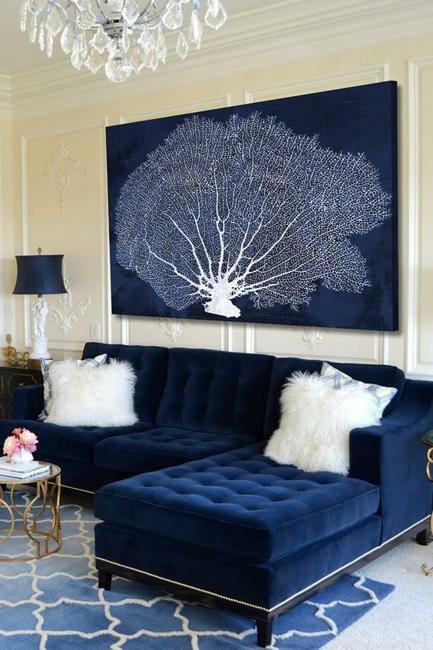 They beautifully blend breezy lightness, calming coolness and depth of rich blue color into relaxing and comfortable interior design. 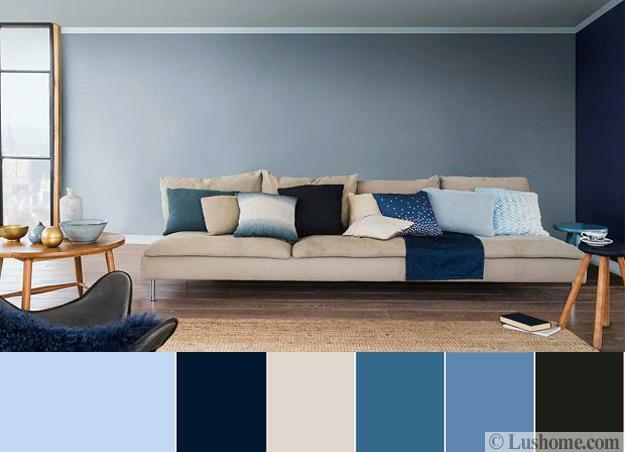 Soft white hues and brown colors of wood furniture make balanced interior design color schemes with peaceful blues. Details in black and gray add elegance to light grayish and bluish pastels. 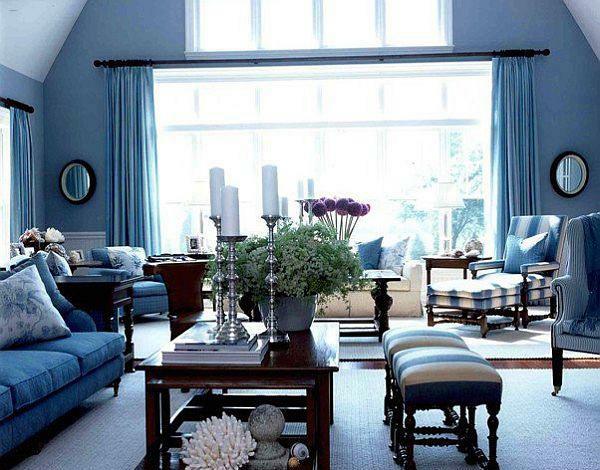 Blue turquoise color tones work for any interior and any element of interior design. Wall paint, furniture, lamp shades and other decorative accessories work wonderfully for creating modern room decorating. 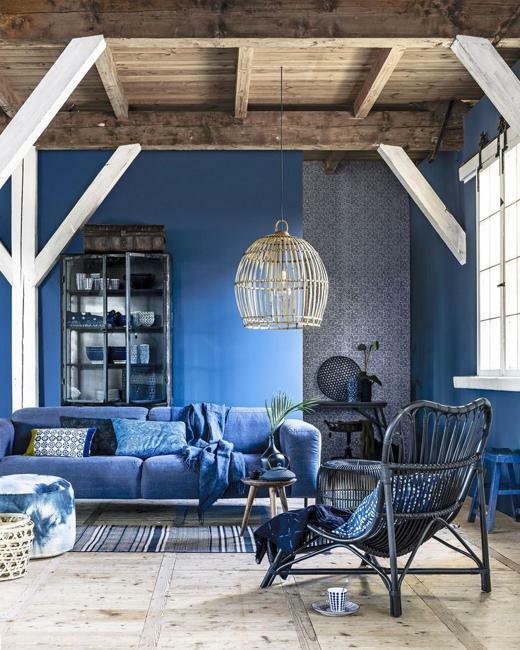 Neutral color tones of wooden furniture and black leather chair look beautiful with light and deep blue turquoise wall paint and decorative pillows. 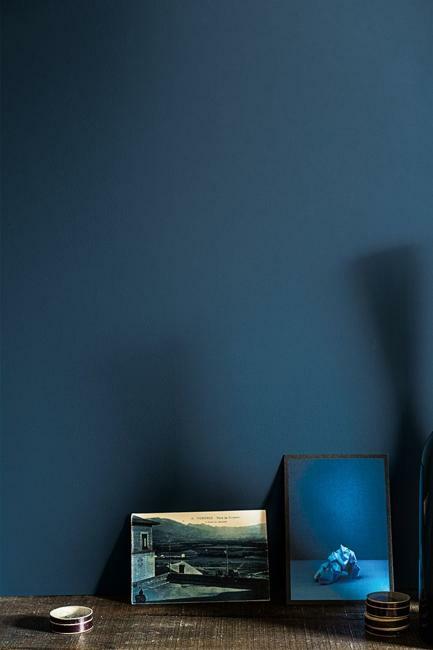 Strong contrasts of light and dark blue colors of decorative pillows, a dark blue accent wall and light painted walls, add energy to living room design. 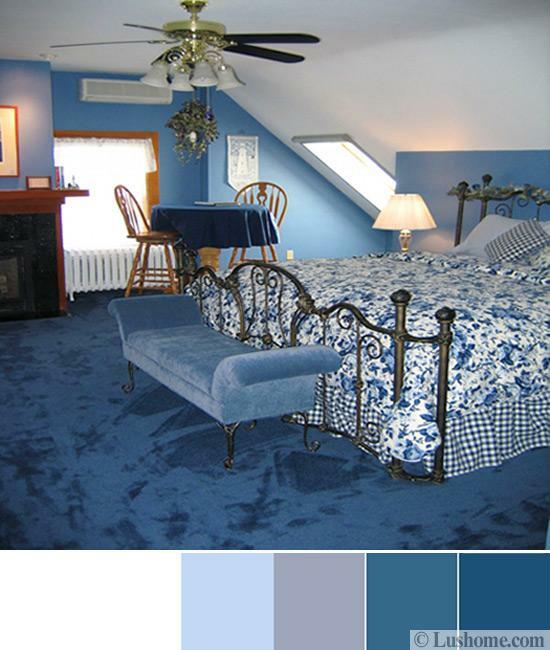 Light blue wall, blue carpeting, furniture and bedding in blue and white create peaceful and bright bedroom design. Elegant gray curtains, creamy white walls and purplish blue tones of beautiful flowers on a white dining table create an attractive, light, and versatile color scheme for dining room with blue velvet chairs. 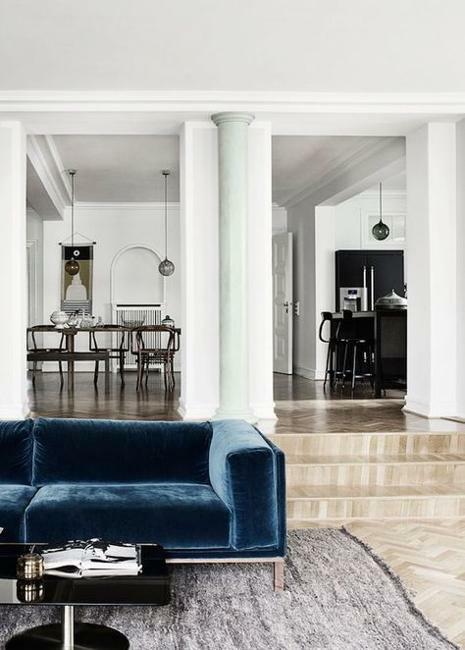 Blue turquoise color tones feel pleasant and calming, offering versatile color schemes for any interior design and decorating. 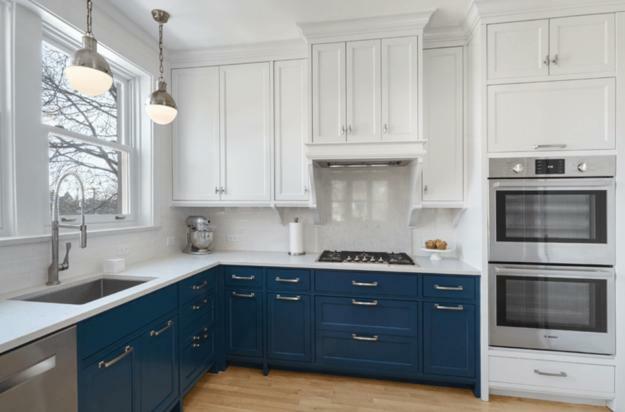 Deep blue turquoise and white kitchen cabinets are a perfect combination for modern kitchen design with metal lights and accents. 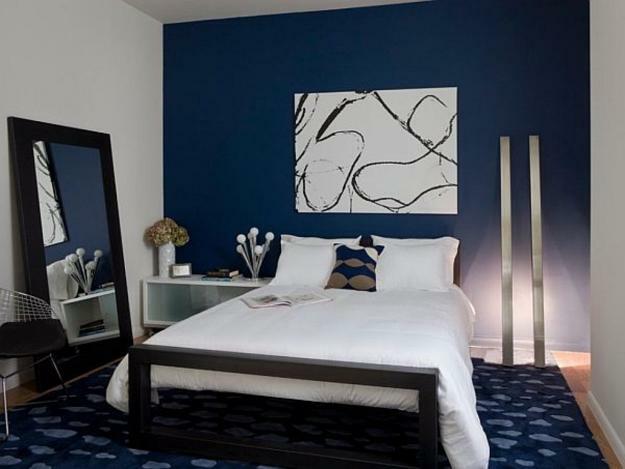 Blue bedding and white colors are an excellent combination for bedroom design. 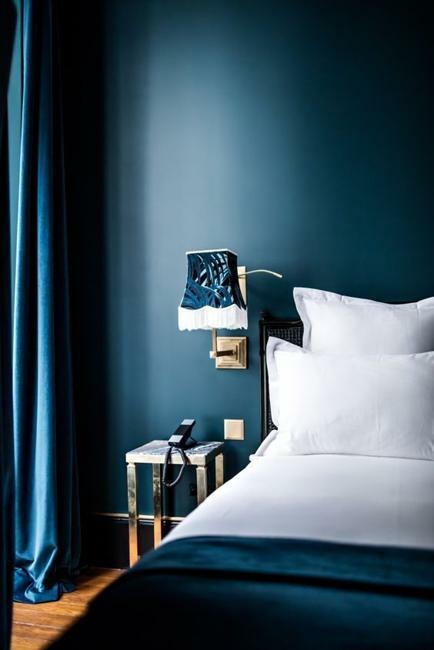 The dark blue turquoise color looks fresh and bright with a white bed headboard and wall decorations. 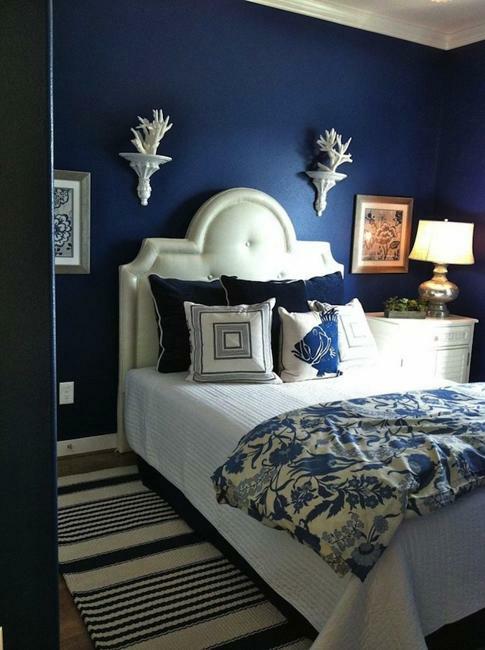 A creative mix of floral and fish patterns of the bedding with blue and white stripes of the floor rugs add interest to the blue bedroom decorating. 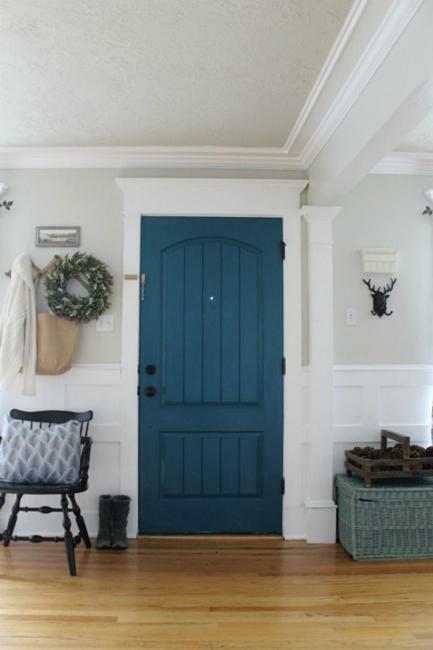 Blue colors are beautiful and versatile, suitable for painting a door, wall or furniture. 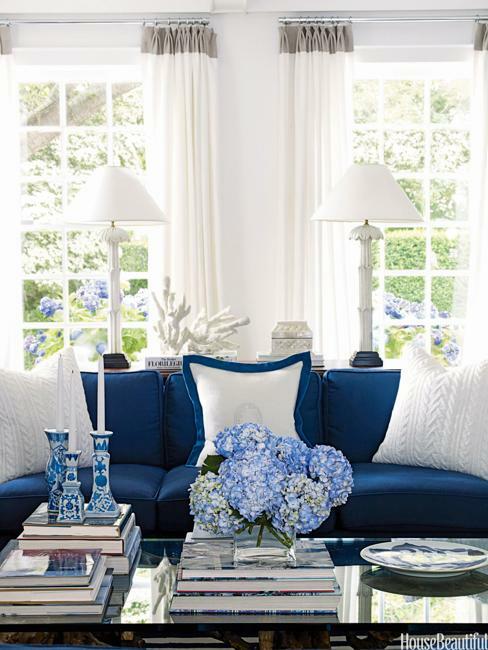 Blue turquoise decorative pillows, bedding fabrics, furniture upholstery, curtains or carpeting create a very relaxing, peaceful and elegant atmosphere and add beautiful contrasts that harmonize interior design. 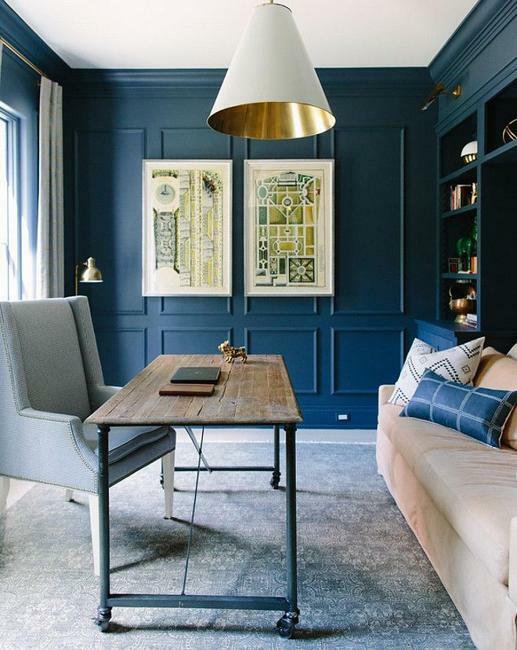 Gray and off white decorating ideas balance medium and dark blue colors, while natural shades of wood bring warmth into blue interior design color scheme and harmonize living spaces.